Our trademark signature Facial Bar! We would claim it is the cure to acne, but don’t want to hassle with the FDA right now, so we’ll let you be your own judge. Full of everything to draw out, dry up, purify, and DEEP CLEANSE, or you could just think of it as a lathering vacuum! After everything is pulled out, its rich in natural moisturizers to not dry out your natural oils. It’s mineral rich with AUTHENTIC Dead Sea Mud, purifying with Activated Charcoal, and cleansing with anti-bacterial tea tree, and we’ll leave out the rest of the magic ingredients to ward off the wanna-be’s and copycats. Used twice a day, you’ll be new! This soap does wonders for my entire body. As long as she makes it I will use it. I can't choose between this or the lemon facial bar. Both of them are excellent products for the skin. They clear dark spots, help with acne and leaves my skin feeling soft, hydrated and not dry at all. I would highly recommend. This is the only bar that my 16 year old son will use! He swears by it! Try it and your skin will be very happy. LOVE this bar! My skin feels clean all day, without getting dried out. I even convinced my boyfriend to try it. From now on, the only thing I will use on my face. 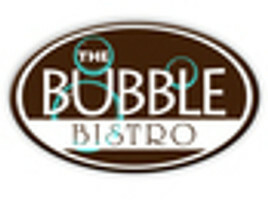 Thank you, Bubble Bistro! I bought this soap for me and son face and we both can see a difference in our skin. I didn't think it would work but after reading other reviews im glad we tried it. The Answer to All Your Skincare Needs! I absolutely love this soap. It's essential for cleaning deep in your pores and evening your skin tone. Everyone always ask what do I use and I always recommend this bar. Even my husband swears by it! I wanted to wait a few days to give an honest review, and I'll I can say is... GET YOU SOME!!!!! Thanks!!!! My Husband Loves This Bar! I only bought one bar to try. My husband and I both used the bar in the shower. The next day the bar was on his side of the sink!! He has used it religiously since. His skin looks better every day! This bar is prefect for the black man with issues with shaving. It keeps the pores open and clean, completely abolishes the acne and is the perfect addiction to his skin regimen and he looks great! I just need another bar for myself!! LISTEN...Apparently I have been sleeping on this detox bar because when I did try to get a few bars during a promo my shopping cart said AIN'T NO MO when I went to checkout. I finally got my hands on ONE bar and immediately felt a difference in my skin. It didn't dry my skin out and it left my face feeling so smooth. I will be purchasing this product again! Best skin food for your face! Beats any Facial Bar or Soap Hands Down. I have had acne since my teens. So my experience with facial soaps and bars is over a few decades. Before I used this face bar, I was using a name brand facial soap that I've been using for over five years. When I got the bar, I cut it into four pieces so that I wouldn't go through it quick. I've used this bar for three days, and when I tell you that it is the best facial soap that I've ever used on my face...Babey. I slid my regular facial soap to the side...lol. This facial bar is exfoliating without over drying my oily sensitive skin. I love this bar and I plan on buying another one once I'm done with this one. I can also see some of my hyperpigmentation starting to lighten up. I'm so happy I bought this. The price is great! I have paid so much money over the year and I'm glad I finally found this. Very Clean and Very Fresh Feel! This soap have me coming out the shower feeling smooth and soft and it lathers up great! I have very sensitive skin and it doesn't irritate my face or body at all, I love it- I will be ordering more bars. This detox bar is awesome!Once use and I could tell the difference. I used it on my face and body and at the time I had a bit of a break out.This soap helped my break out and was almost totally clear with in a few days! Wonderful lather too! Gets rid of new breakouts in a day! Leaves skin feeling clean and smooth! This soap has been great for my skin in current climate, which has forgotten about Winter. All the yucky muck from heat and workouts is sucked away, leaving a beautiful canvas of healthy skin behind. Never going back to big box brands. Thanks! I like the way it makes my face feels. The sox is not drying to the skin. I have very sensitive skin as well as Excema. I have an extremely difficult time finding skin care products that don't burn my skin or cause a flare up of my excema. I have been using this product for about 3 weeks and have no problems! I'm so happy to find something that finally works for my problem skin. I'm seeing a major difference already. I have thrown away all of my facial products. I love this bar, it provides deep cleaning without all of the harsh chemicals and impurities. I gave this bar to my mother in law as a gift and she loves it. After using this soap for 3 days I realized I didn't even need a moisturizer. My skin is smooth, soft with no breakouts! I appreciate that this soap is 1)not messy 2)not drying 3)not abrasive. It has a nice foaming consistency and easy to wash off. It's not greasy or oily and leaves good clean feeling, no residue. This is a great product! The bar has already started clearing up my acne and fading some of my blemishes and I have just used a week so far! I'm excited to see my skin will look like in a few weeks! My skin feels amazing after every use, clean doesn't even begin to describe it. A little goes a long ways and the lather is amazing. This soap makes washing your face feel like a mini spa experience! I've recommended it to everyone that I know. I love it. Ive been using it for about 2 weeks now. My face is clear. I been working out and the acne flares up from sweat. I should add that the blemishes from pimples take a year to fade away. I had no idea what to do about it. Bubble bistro was recommended and i bought the bar of soap. It works great. The only reason i gave it a four is because it makes my skin dry. I just use a moisturizer for that. My face hasnt been this clear in months. I bought this for my husband a few months ago and he is still using it. We bought it for his razor bumps and to clear up his face, it did exactly what it said. His face is amazingly free of bumps and soft, I am still in shock with the results and find myself rubbing his face often. I'll be the first to admit...my skin has been a headache and a heartache for me for as long as I can remember. I often have chronic breakouts which also leave behind unsightly blemishes. I've used everything from prescription medications and creams to clearasil, neutrogena, and even pro-active--with mimimal results at best, and if any relief was noted at all it was only temporary. I tried the Detox Bar thinking...what can it hurt. I can only say, "WHERE HAS THIS BEEN ALL MY LIFE?!?" For the first time since my pre-teen years my face is clear, smooth, and I haven't had a break-out since I began using it. In less than two weeks of using the Detox Bar people began to ask "what have you been doing...your face looks great." This is a DEFINITE MUST HAVE. P.S. Totally cleared out my medicine cabinet of cleansers, creams, and astrigents...i have three empty shelves that I'll kindly be stocking with SKIN VACUUMS! This stuff is the bomb. I recommend this to anyone who has oily skin like myself. This stuff is a miracle! I love it! I love it! This stuff really does work! If you have any kind of acne on your face...this is it. Your skin will be silky smooth after the first application. I even have my teenage son using it and he loves it too. I USED to have acne and breakout skin. I've tried Proactive and everything else on the shelf until my dermatologist explained it was the chemicals themselves triggering my acne. Gave this a try and ACNE GONE! BREAKOUTS GONE! The even better part is it left my face smooth and soft and not dry! And what a cost savings over all the money I have wasted.